2. Information given to Principe di Piemonte Spa clients at the Grand Hotel Principe di Piemonte. This statement is published on the website so that clients may consult it online, as well as in paper format at the main office. This information does not apply to other websites, pages or online services accessible via hypertext links that may be published on sites and which refer to resources that are external to the principedipiemonte domain. The computer systems and software procedures used to operate this website acquire, during their normal operating functions, some personal data whose transmission is implicit in the use of Internet communication protocols. This information is not collected to be associated with identified interested parties; however, due to its very nature it could, through processing and association with data held by third parties, allow users to be identified. This category of data includes IP addresses or domain names of the computers used by users connecting to the site, the addresses in the Uniform Resource Identifier (URI) of the requested resources, the time of the request, the method used to submit the request to the server, the size of the file obtained in response, the numerical code indicating the status of the response given by the server (success, error, etc.) and other parameters relating to the operating system and the user’s computer environment. This data is used for the sole purpose of obtaining anonymous statistical information on the use of the site and to check its correct functioning and is deleted immediately after processing. The data could be used to ascertain responsibility in case of hypothetical computer crimes against the site: except for this eventuality, at present, the data on web contacts does not last for more than seven days. The optional, explicit and voluntary sending of emails to the addresses indicated on the Grand Hotel Principe di Piemonte Site, as well as filling in and forwarding the forms found on the Grand Hotel Principe di Piemonte Site or the booking engine managed by BLASTNESS Srl, entail the acquisition of the sender’s contact data, which is needed to respond, as well as all personal data included in notifications (including data entered in the forms and forwarded through the Grand Hotel Principe di Piemonte sites to book a stay). a) to manage your contractual relationship regarding the service requested, or to execute pre-contractual measures (such as, for example, the request for information or an estimate), to acquire and confirm your booking of accommodation services and ancillary services, and to provide the requested services. b) for administrative purposes and for the fulfilment of legal obligations regarding accounting and taxes, or to comply with requests from judicial authorities. c)only with prior specific consent, for periodically sending newsletters by e-mail. d)only with prior specific consent, to receive promotional notifications and invitations to events and special promotions (marketing). e) when sending a curriculum vitae, exclusively for selection purposes. f) only with prior specific consent, for purposes of automated processing and/or profiling. The legal basis for this processing: consent of the interested party. We wish inform you that when issuing notifications for marketing purposes and sending newsletter to clients, via email, for the purposes referred to in subparagraphs c) and d) the Data Controller also initiates automated processing, profiling, based on indices and pre-established parameters, as we use MailUP’s platform and IT tools to issue our notifications. In particular, MailUP provides information on who opens the newsletter and clicks on the links contained in the email received. In particular, MailUP, via statistical tracking systems (for example web beacons), enables to detect when the message is opened, the number of clicks on hyperlinks contained in the email, which IP address or what type of browser is used to open the email, and other similar details. The logic used in the use of the processing in question, consists in sending newsletters and commercial offers to subjects who interact with Principe di Piemonte Spa (Grand Hotel Principe di Piemonte), that are interested in the Data controller’s service and/or products and to avoid forwarding unwanted notifications. The profiling activity (with the consent of the interested party) is limited to the data provided by you (without data enrichment). You have the right not to give consent to processing via profiling and in any case, you can, at any time, oppose this process as outlined in this disclosure in the Rights of the interested parties section. 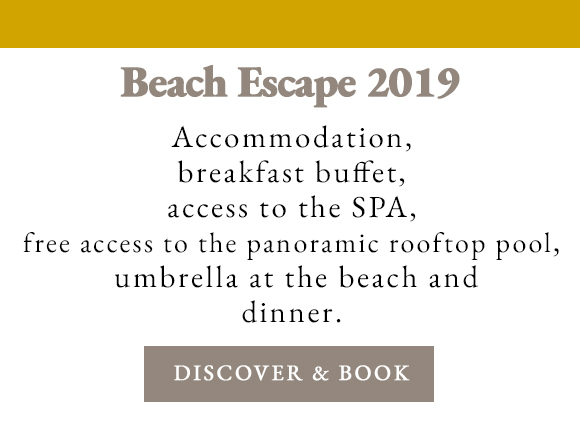 Specific summary information will progressively be provided or displayed on the Grand Hotel Principe di Piemonte Sites pages, possibly prepared for the provision of certain services. Upon checking-in, clients will receive further information regarding the processing of their personal data with regard to the hotel service. Please note that should consent be given to receive marketing material, newsletters, CV processing for personnel selection purposes by Grand Hotel Principe di Piemonte, it can be revoked at any time. In any case, Grand Hotel Principe di Piemonte cannot be held responsible for unauthorized access or loss of personal data attributable to the interested party or in any case beyond its control. BLASTNESS SRL – P.IVA/C.F. : 01195440118 – N.ISCRIZIONE REA DI MILANO 2107189 Registered Office: Galleria del Corso, 2 — 20122 Milan, Italy, with reference to the processing of personal data provided by clients when making a reservation for a stay through the Grand Hotel Principe di Piemonte website, via the management of the booking engine. More precisely, it should be noted that if users intend to make a reservation on the Grand Hotel Principe di Piemonte Sites, they will be connected to the search engine for bookings managed by BLASTNESS SRL, https://www.blastnessbooking.com/, which ensures an encrypted and protected session. 13. be informed of the existence of adequate safeguards pursuant to Article 46 relating to the transfer of data, should the personal data be transferred to a third country or to an international organization. 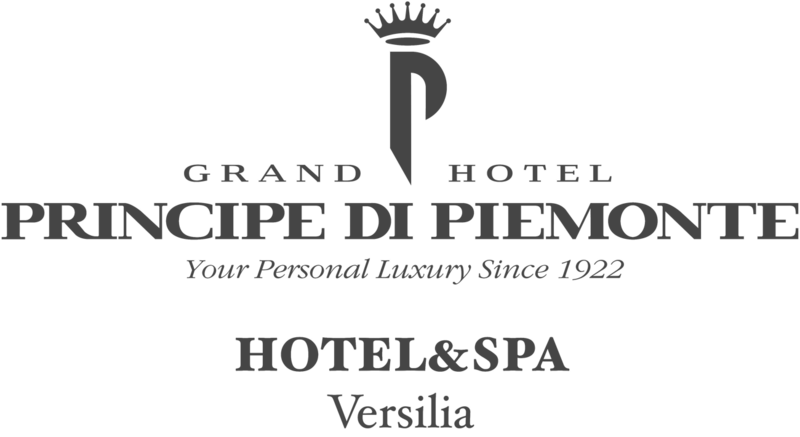 2 — INFORMATION ISSUED TO PRINCIPE DI PIEMONTE SPA CLIENTS AT THE GRAND HOTEL PRINCIPE DI PIEMONTE FACILITIES.  This document («Disclosure») is intended to provide you with indications regarding the processing of information, as specified below, which will be provided by you to the Data Controller indicated below and which will be processed for the purposes indicated in this document. The Disclosure, in particular, is provided pursuant to Article 13 of Legislative Decree 196/2003 and of EU Regulation no. 679/2016 («GDPR»), art. 13, and subsequent national adaptation rules (along with the GDPR «Applicable Regulations»). 1 — Data Controller identity and contact details. The Data Controller, or rather the legal entity that determines the personal data processing purposes and means, is PRINCIPE DI PIEMONTE SPA, (the company that manages the Grand Hotel Principe di Piemonte facilities), VAT number 01817130469, with registered office in Viareggio, in Piazza Puccini, n. 1, telephone number: +39.0584.4011 email: info@principedipiemonte.com. The following information categories, established within the limits of the purposes and methods described in this Disclosure, may be processed: a) «Data of a common nature», which includes your personal details, those of the persons staying with you, your bank details, your contact details, billing information (such as, for example, mobile phone number, residential or home address, e-mail address. ); b) «Particular Data», in accordance with applicable law, of a particular nature; by way of example, reference is made to those who provide information on the state or health conditions of the user, religious or philosophical convictions (Article 9 of EU Regulation 679/2016). For convenience of reference, in this Disclosure, the expression «Personal Data» shall be understood as a reference to all of your Common Data and Particular Data, unless otherwise specified. 3.1) for managing your contractual relationship regarding the hotel and/or catering service, or to execute pre-contractual measures (such as, for example, the request for information or estimates), to acquire and confirm your reservation of accommodation and ancillary services, and to provide the requested services. You may decide to give the Data Controller details in order to indicate your health needs, such as allergies, pathologies, and/or food intolerance or otherwise, or rather data that reveals conditions related to protecting your health. Since this processing is required for defining the contractual agreement, for its subsequent implementation, and/or to execute the services requested by you, you are free to provide your personal data, however should it not be given, we will not be able to confirm booking or provide the requested services. Legal basis for processing:: execution of a contractual relationship, execution of legal obligations, legitimate interest of the Data Controller with regard to any disputes concerning the contractual relationship. 3.2) to fulfil the obligation pursuant to the «Consolidated Law on Public Security» (article 109 RD 18.6.1931 No. 773) which requires us to inform the Police Headquarters, for purposes of public security, the details of clients accommodated according to the procedures established by the Ministry of the Interior (Decree of 7 January 2013). The provision of data is mandatory and does not require your consent, and in case of refusal in providing it, we will not be able to accommodate you in our facility. 3.3) to comply with current administrative, accounting and tax obligations. For these purposes, the processing is carried out without the need to acquire your consent. The data is processed by us and our representatives, and is disclosed externally only to fulfil legal obligations. In case of refusal to provide the data necessary for the above-mentioned obligations, we will not be in a position to provide the requested services. 3.10) for periodic issuing, by e-mail, of newsletters by the Data Controller. Providing your Personal Data for this purpose is optional and will not prevent you from using the service referred to in the purposes of point 3.1) and any additional service you may have chosen. These data categories may be processed by the Data Controller only upon your free and explicit written consent which may be revoked at any time, by signing this disclosure. 3.11) for the purposes of automated processing and/or profiling through your specific consent. We wish to inform you that in carrying out notifications for marketing purposes and issuing newsletters to clients, via email, for the purposes referred to in points 3.9) and 3.10), the Data Controller also carries out automated processing and profiling, based on pre-established indexes and parameters, as we use the MailUP platform and IT tools to send our notifications. In particular, MailUP provides information on who opens the newsletter and clicks on the links contained in the email received. In particular, MailUP through statistical tracking systems (for example web beacons), enables us to detect when the message is opened, number of clicks on hyperlinks contained in the email, which IP address is used or with what type of browser the email is opened, and other similar details. The logic used in the use of the processing in question, consists of sending newsletters and commercial offers to subjects who interact with Principe di Piemonte Spa (Grand Hotel Principe di Piemonte), interested in the Data Controller’s services and/or products and those who wish to avoid receiving unwanted notifications. The profiling activity (through the interested party’s consent) is limited to the data provided by you (without data enrichment). You have the right not to give consent to the processing by profiling and in any case, at any time you can oppose this process as indicated in this disclosure in the interested party’s Rights section. Legal basis for processing: consent of the interested party. Legal basis for processing: consent of the interested party. — to third-party companies or other subjects (for example, credit institutions, professional firms, consultants, insurance companies for the provision of insurance services, etc.). These data processors are specifically appointed by the data controller on the basis of a written agreement pursuant to Article 28 and 29 of the European Regulation. Постоянно обновляющиеся специальные предложения дадут вам возможность стать гостем отеля Principe di Piemonte по самым выгодным ценам в любое время года! Хотите провести отпуск своей мечты в Версилии? Не упустите акцию Promo Suite гранд-отеля Principe di Piemonte в Виареджо! Скидка 40% на проживание в номере категории Suite! Узнайте подробности и забронируйте прямо сегодня. Каникулы для подростков в Виареджо, развлечения на воде, технология и релакс в нашем панорамном бассейне с видом на море, где вы сможете сделать необыкновенные селфи! Отдохните в СПА, пока дети развлекаются на пляже. Гранд-отель Principe di Piemonte ждет вас и готов предложить специальную программу пребывания, подходящую для всей семьи. Уникальный пакет, который сочетает безупречный и неповторимый роман и благополучие. Опыт с вашей возлюбленной на выходные в паре, организованной завтраком, оздоровительной дорожкой, спа-салоном, бассейном и ужином! Идеальное предложение для тех, кто хотел бы создать волшебное пространство, чтобы побаловать и восстановить разум и тело. Романтика и велнес, безупречным и неподражаемым образом соединенные в одном пакете. Незабываемые выходные вместе с вашей второй половинкой, включая проживание, завтрак, оздоровительные процедуры, спа-центр, бассейн и ужин для двоих!